11 Cute Bedspreads for a Beautiful Bedroom! Top Cutest Bedspreads and Quilts for Girls and Women! If you are like me, you also love cute bedding! I am always looking for the latest cutest bedspreads and quilts for girls and adults too and I found so many that I knew I had to display a few of the best ones here! They also make great gift ideas for any girl’s bedroom! Look at this one in the picture! It’s full of beautiful sunflowers! I hope you find a beautiful bedspread here today to brighten someone’s day and bedroom! 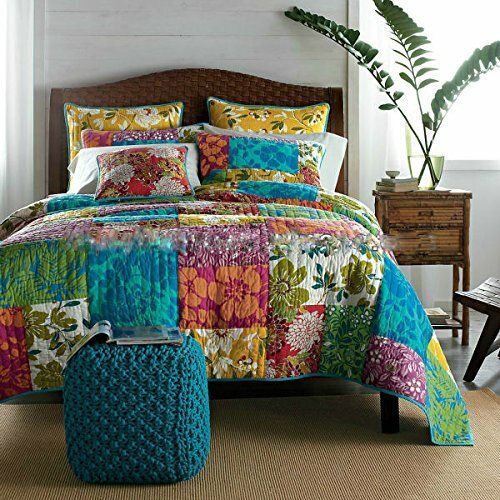 This is one of the most beautiful and colorful floral bedspreads around! It has this ‘antique chic’ style and it’s made of 100% cotton. Looks amazing in any bedroom and you can have it in three sizes: full, queen and king! It also comes with the matching pillow shams to complete the beautiful look! The colors are vibrant and gorgeous and they will match almost any kind of bedroom decor you have. 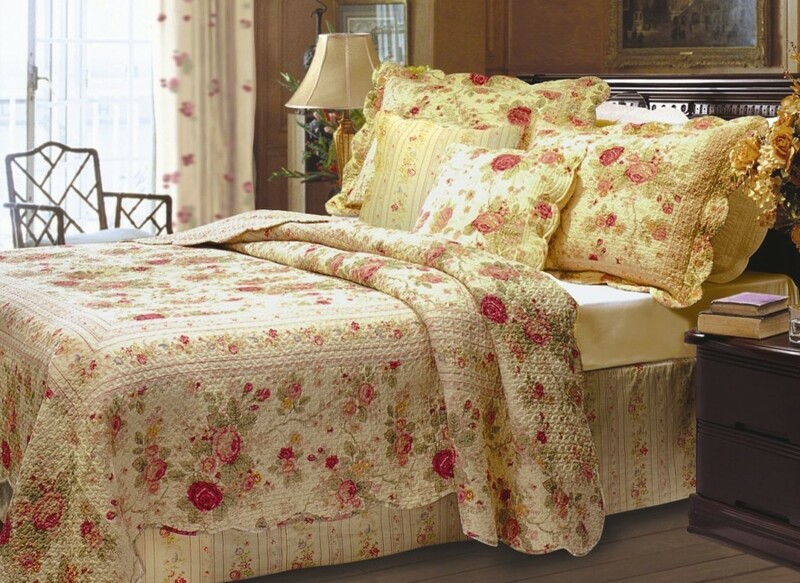 Another lovely and very cheerful floral bedspread set for sale! The quality is great and it’s also very soft. It is also reversible, and the other side has a light yellow color with cute blue and lavender flowers! My Favorite Cute and Girly Bedspreads! 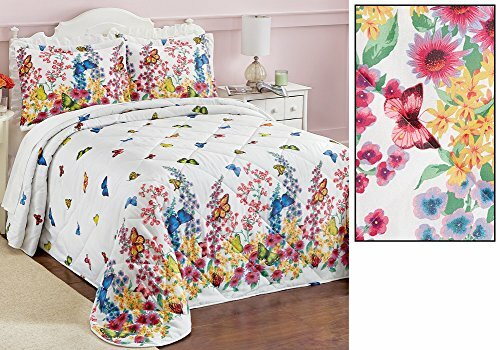 What a cute and ultra-colorful butterflies and flowers bedspread! Perfect for girly ladies and girly teens! I love the beautiful colors! You can get it in king or queen sizes. 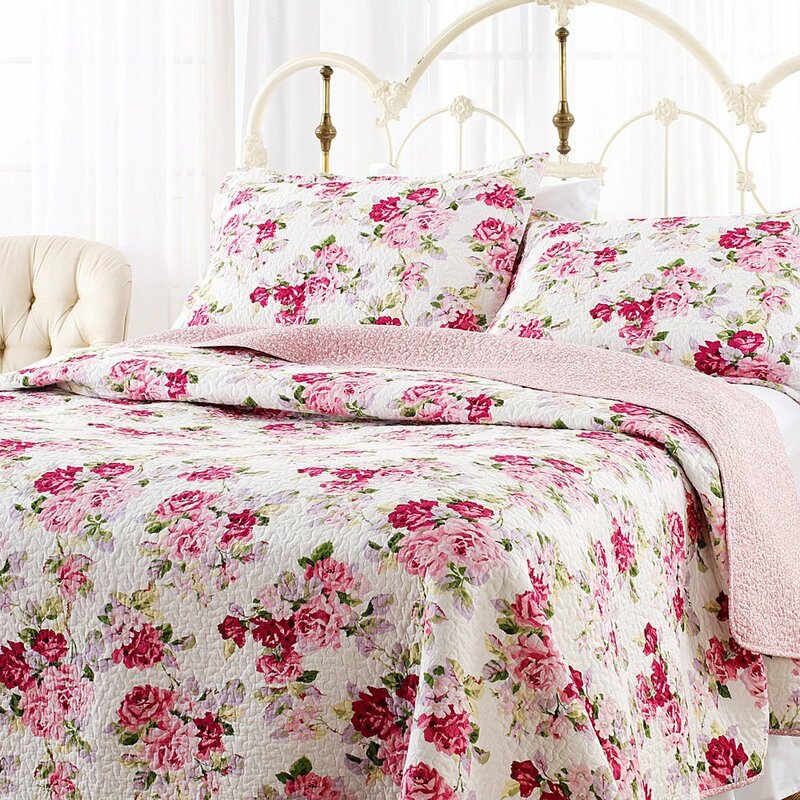 What a beautiful cotton filled floral bedspread! It is very lightweight and perfect for the summer! It has a lovely ‘country’ look! It fits nicely on the bed and it can be washed at home on your washing machine. This is a very cute and unique ribbon embroidered 3-piece bedspread set for sale in a beautiful camel color! What I also love about it is that you can also get it in five other fun colors, including pink, lilac, blue, salmon and ivory! 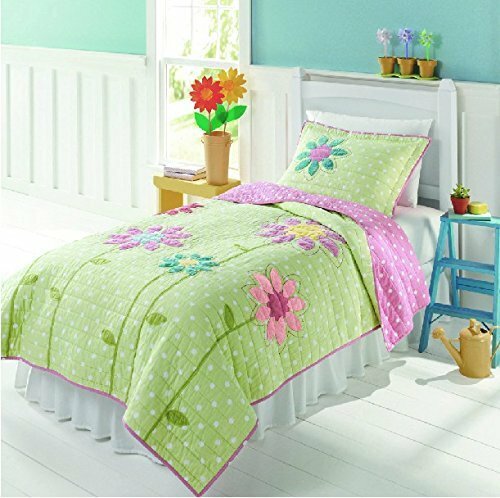 If you want your bedroom to look like a beautiful flower field every day, then I suggest getting a cute floral quilt set, just like this one! It is made from 100% cotton and it’s also fully reversible. Makes a wonderful birthday gift idea for moms, daughters and grandmothers! What a fun way to give ‘flowers’! 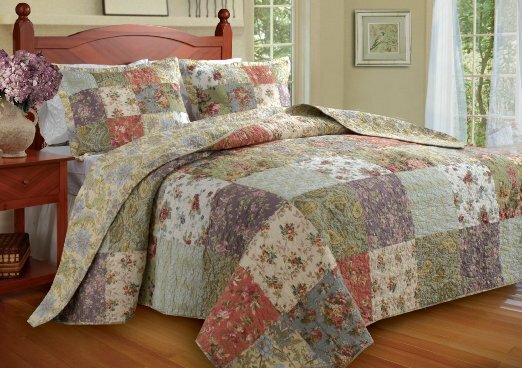 I am absolutely crazy about floral quilts and bedspreads! This is a lovely antique rose quilt set for sale! It also comes with the cute decorative pillows! It is very pretty and will make a lovely gift idea for any special woman in your life! 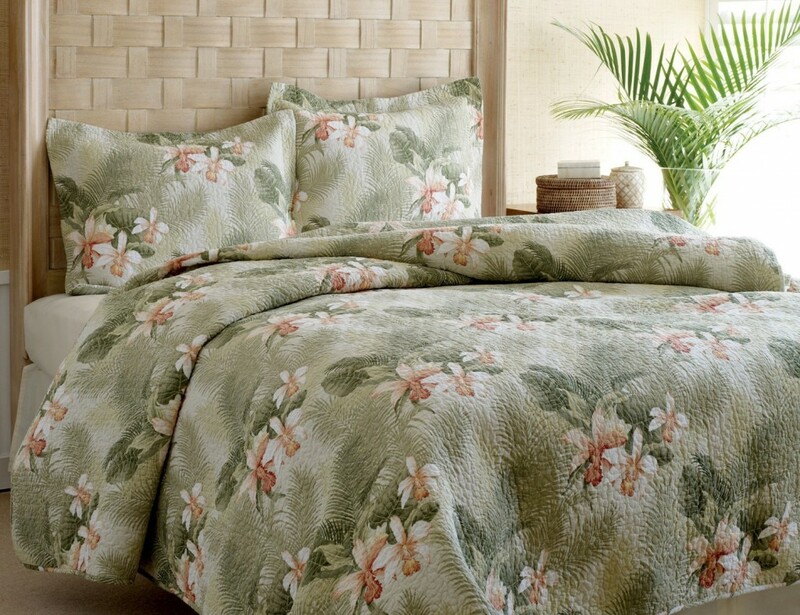 What a stunning high quality Tommy Bahama floral quilt set! I love this Hawaiian style! Perfect to create a ‘beach theme’ bedroom! This is a complete lovely violet flowers cotton quilt set that includes the gorgeous lavender quilt and the cute pillow shams! Very pretty bedspread for a girly teen girl! If you are looking for the most colorful quilt sets ever created, I think you can stop looking! An ‘explosion’ of colors everywhere! 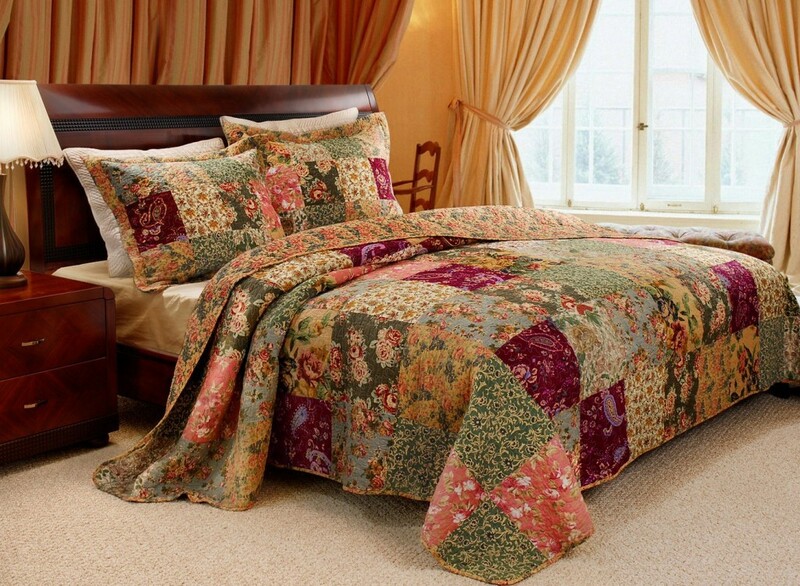 This is a stunning 3-piece floral quilt set made from 100% cotton! *I hope you enjoyed my selection of cute bedspreads and quilt sets from this page and were able to pick one for your bedroom! Hello, I just want to say,that you have beautiful Bedspreads and I would like to know,where I can buy them. I would be nice,if you could give me the address.